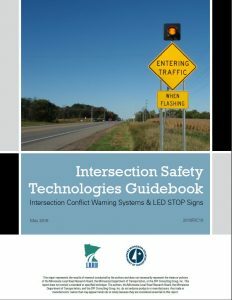 A new guidebook will help engineers select and deploy LED stop signs and Intersection Conflict Warning Systems (ICWS) at stop-controlled intersections. In addition to the complete guidebook, products include a six-page quick reference guide and an appendix of example plans for ICWS and LED stop signs. View informational flier for more information.